So you want an old BMW, but the gorgeous E9 coupes have always been out of reach, the 2002 and even the E3 Bavaria etc. have moved up in price, and even the newer E28 is experiencing a price lift in its old age. What do you do if you want that classic BMW feeling – a clean car with great visibility and a simple interior lacking most luxury nonsense? If you need adequate space for 4 passengers and possibly a self-shifting transmission, the 1979-1981 E12 5-seriesis definitely worth a look. 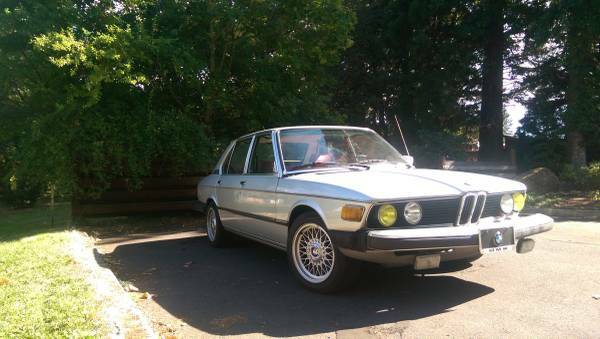 Check out this 1979 BMW 528i for sale for $1 in Portland, OR. Seriously, someone needs to respond to this ad and offer the guy a dollar from every email address they have. 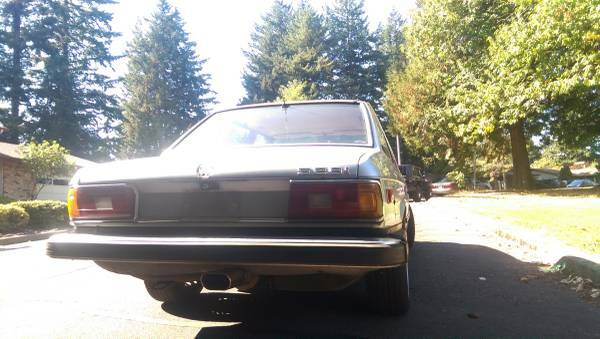 However, a clean automatic E12, even the later 528i without the thermal reactor (which, if it weren’t for the reality, sounds nearly as cool as a flux capacitor), should run you $2-4000. And from what can be seen in the pictures, this is a pretty clean example – mesh wheels from an E38 740i, de-rigueur-for-the-80s foglights, and a lovely silver-on-red color scheme (insert complaint about boring interior colors in modern cars here). 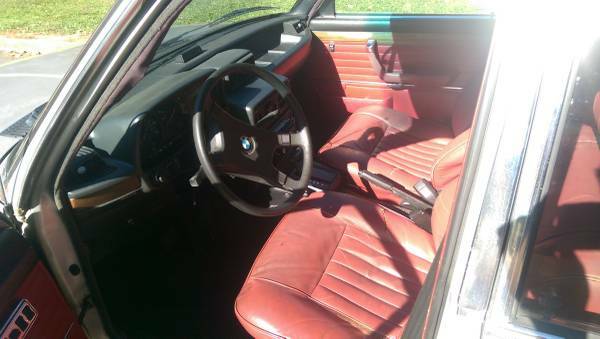 The leather seats look intact and in good shape, and the car has an aftermarket stereo with upgraded speakers. It’s said to have a clean title and Magnaflow cat-back exhaust, which really needs a set of more subtle tips than this odd oval. It’s also got new tires, though everyone’s definition of new is different when it comes to tires (new as in bought last week, or minimal tread wear but 7 years old?). With 211,000 miles, you’ll want to thoroughly test the transmission, first by checking the fluid color, but also for correct operation. The rear looks decent too, though either the photo angle or reality are making the bumper look slightly off-kilter. Unfortunately, these mid-day pictures do nothing to show the quality of the paint, so it’s hard to say where the price should end up. As a car to draw significant others into the hobby, the E12 has some definite benefits – good online resources, some power features including central locking, electric mirror, automatic and perhaps air conditioning. They’re affordable, so the accountant in the family won’t object, and depending on how successful you are in your evangelism, manual transmission conversions and engine upgrades are relatively straightforward. So, for those of you with reluctant family members (or body parts reluctant to manipulate clutch and shifter), which of the past week’s cars would you pick? And for the rest of you, thanks for coming along for the ride – we’ll return to the manual majority next week. This entry was posted on October 8, 2015 at 3:03 pm and is filed under Feature. You can follow any responses to this entry through the RSS 2.0 feed. You can leave a response, or trackback from your own site. My choice is the Toronado, for sheer oddball engineering awesomeness.